Your browser doesn't support video playback. Continue to the page by pressing Skip-button. WHY SHOULD I PARTICIPATE 2019? BWW-The Best Wine of the World-competition is by far the toughest wine competition on this planet. Unlike any other industry competition, only 1% of the wines involved will be awarded. The six main categories included red wine, white wine, rose wine, sparkling wine, fortified wine and champagne categories. Under each category, the best wines were awarded also according to price level and country categories. The Title above all categories ­­– the Best Wine of the World 2017 – was given to the wine that gained the highest scores in the finals. In BWW Competition 2017 the Best Wine of the World -title was awarded to Harlan Estate 2013 – Napa Valley /California, USA. WINNERS and AWARDS - the full list! BWW is created by the World´s leading FINE Wine magazines and the world’s largest wine information source Tastingbook.com. BWW is the largest and most important wine competition in the world in terms of amount of wines, consumers and professionals. The Best Wine of the World competition is the world’s most notable wine competition, and it is open for all wine producers. Winners of the BWW competition will be decided by millions of consumers around the world together with thousands of professionals. BWW is the largest wine competition in the world in terms of amount of wines, consumers and professionals. The competition takes place on the world’s largest wine information source, Tastingbook.com, the website and service where consumers and professionals are free to vote wines that are in the BWW competition. People can also take part on the voting via Facebook and Instagram. The competition wines are voted by hundreds of thousands of consumers and pros, who vote for the wines which they consider worthy during 3-months voting period. The voting begins on July 31, 2018 and ends on October 30, 2018. After this the judges that are selected among the over 7000 wine professionals on Tastingbook form the pro tasting panel to assess and award the finalist wines. The results will be revealed on December 15, 2018, and the winners will be announced in all categories. Judging for the competition is carried out in two phases. In the first phase the whole world – both wine consumers and wine professionals – decide on the best wines currently available by voting for wines on Tastingbook.com directly or via Facebook, and Instagram. The progression of votes can be followed on realtime on Tastingbook.com during the entire 3-months voting period. On the second phase the 30 most voted wines in each category will be proceeded to finals where finalist wines will be blind tasted and assessed by the wine professionals. The producers whose wines have been among the most voted wines will be asked to send the samples for the blind tastings. To enter the competition, producers may submit their wines on the www.bwwcompetition.com website. Wines can be entered into the competition at any time until June 30, 2018. The voting commences on July 31, 2018. The entrance fee for each wine is €250, and producers may enter as many wines as they wish. Entry into any of the specific categories is a mere additional €25 for each category. In the first phase of the competition producers are not required to send samples for appraisal. Each wine entered for the competition gets its own activated wine page at the Tastingbook.com platform with wine information, bottle image and a voting button. The wines in BWW competition will have a special exposure on Tastingbook.com during the 3 months voting period with pop-up windows on produceer’s Tastingbook site and on Tastingbook’s front page.In the 2017 competition, each competition wine had over 8000 front page exposure. During the voting period, the millions of visitors in Tastingbook.com will be able to vote for the wines that they prefer. Wines also receive votes always when professionals appraise and give scores to wines on Tastingbook during the voting period. The voting power of professionals is heavily weighted in their favour. The competition only takes into account votes and professionals‘ scores submitted into votes that are given during the voting period. The producers whose wines will get voted to the finals are asked to send in four sample bottles of each wine. The wines can be any vintage between the years 2004 and 2018. The vintage appraised in the finals does not need to be on the market at the time, it is sufficient that the wine is on the market during the year 2018. The competition can be entered through a sign-up form on the BWW website and by paying the entrance fee either online or by invoice. It is possible to withdraw wines from the competition or chosen categories during the voting period, but the entrance fee is nonrefundable. BWW is not responsible for sign-up forms that are filled in incorrectly. All wines entered for the competition must be produced partly or entirely from grapes by fermentation. The wines must be on markets for sale during the year 2019 at the latest. The competition wines can be non-vintage wine or any vintage between 2004 and 2018. Champagnes can be non-vintage or vintage champagnes between 2004 and 2012. Ports, Madeirasand fortified wines shall be between non-vintage or vintage between 1992 and 2016. The wines that present older vintages but are released on markets recently (post 2014) are allowed to take part in the competition. The wine does not need to be on the market internationally, it is sufficient that they are for sale in at least one market area. Wines entering the competition must be commercial and their minimum production volume must be at least 600 bottles. The finalist bottles shall be delivered in a bottle size of 37.5cl, 75cl, or 150cl. The producer is responsible for the delivery costs and taxes of the finalist wines. Producers are only allowed to use the BWW symbol on wines that have received the BWW award. The results will be published on Tastingbook.com. Extensive press releases will be issued worldwide announcing all the winners. The world’s leading fine wine magazine (FINE) publishes a worldwide special edition on the competition, and it will be delivered, among others, to all voters and professionals who took part. 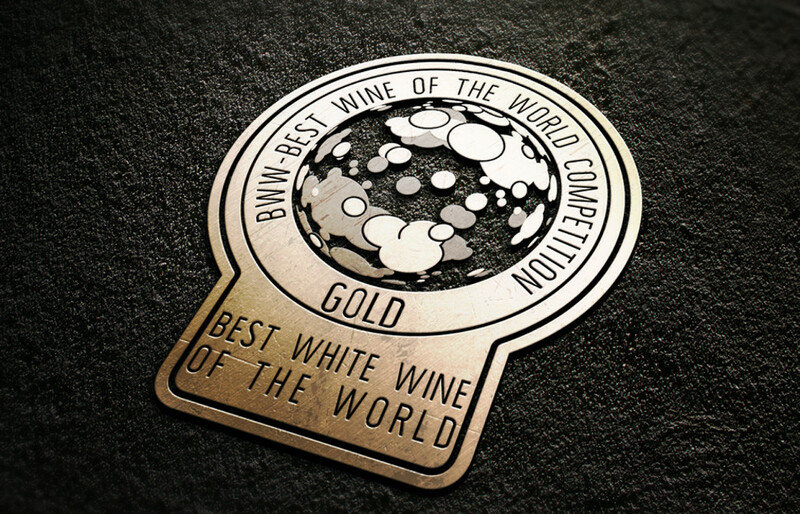 Receiving an award entitles producers to use the BWW symbol in the marketing of the awarded wine. The grand prize of the BWW competition is The Best Wine of the World, awarded to the wine that receives the most points out of all wines in the finals. In addition, the winners of the public vote in different categories and the best wines of different wine regions are rewarded. Aside of these awards, BWW grants some special awards according to the success of the wines, such as The Best Wine Producer of the World. 10 Best reason Why should You participate in the BWW competition? 1. The only wine competition in the world where consumers join wine professionals to select the best wines. 2. During the competition your wine receives recognition from the millions of wine lovers and thousands of wine professionals on Tastingbook 3. You reach the thousands of trade-buyers of Tastingbook who buy billions of euros worth of wine each year. 4. You get worldwide visibility for your wines for at least the duration of the competition. 5. If your wine reaches the finals it will be appraised by wine professionals in different parts of the world. 6. The best wines of the competition get visibility and an introduction on Tastingbook.com and in the world’s leading magazine of fine wines – the FINE Wine Magazines. 7. Each wine that enters the competition and receives at least 1000 votes is entitled to use the Officially Selected by The Best Wine of the World Competition symbol in marketing materials and bottles. Each wine that receives at over 2000 votes will be awarded with People’s Choice Award. 8. There are no costs for entering the competition other than the entrance fee. 9. True to its name, the BWW competition selects THE BEST WINES IN THE WORLD. Being chosen as the world’s best wine in different categories of the competition is a significant tool for marketing, sales, and communications. 10. The sign-up process for the BWW competition is the fastest, easiest, and most affordable in the business. The BWW competition is a unique worldwide wine competition. Millions of consumers around the world together with thousands of wine professionals, select the finalist wines, which are then judged by professionals around the world. BWW is the largest wine competition in the world, by any measure – number of wines, involvement of consumers and the number of judges. The competition is carried out in two phases. In the first phase consumers and professionals appraise wines in a natural tasting environment, i.e. at home, with friends, in restaurants, etc. and give votes to wines in the competition. During the voting period people can vote for their favorite wines on Tastingbook.com directly or via Facebook or Instagram. In the second phase 30 most voted wines in each main category qualifies to finals. In the finals only wine professionals appraise the wines by category. All of the wines in the finals are tasted blind. Producers are asked to send samples for this appraisal of only those wines that qualifies in the finals. The first voting phase begins on July 31, 2018. Producers can enter their wines for the competition until June 30, 2018. BWW has been created by two leading medias in its field. - The world’s leading fine wine magazines - FINE Magazines, who publish wine magazines in Scandinavia, Europe, USA, India and Australia. FINE is also publishing the world’s only Champagne Magazine and wine investing magazine - FINEst Wines. - Tastingbook.com, the world's largest wine information source. Tastingbook started in 2015 and have today over million pages of wine information and at best, over 1.5 million monthly visitors. Over 7000 wine professionals from 75 countries are keeping it updated. Tastingbook will also be the voting platform for BWW. We think it is important that millions of consumers around the world join thousands of experts to choose the best wines of the world, and voting for wines is simple and easy! Where can you vote for wines? Every wine that enters in BWW competition, will get an own wine page in Tastingbook where the wine can be voted. The wine will also get votes in Tastingbook every time wine is tasted and scored in the Tastingbook.com by Tastingbook professionals. Professionals points are converted into the votes. The wines can be voted also via Facebook and Instagram. Who votes for the wines? Any Internet user on any device can vote for wines. Tastingbook.com alone has over 1.5 million monthly users from over 110 countries. We also hope that all producers make sure their own constituent groups and wine distributors vote for their wine. The millions of readers of FINE Magazines in over 85 countries will also be activated to vote. In the first phase of the competition the participating wines are voted for by name and vintage. While selecting the finalists the votes received by each wine during the voting period are added up and 50 wines with the most votes in each category are invited for the finals. In the first phase of the competition the judges are millions of wine consumers and professionals. In the second phase the jury consists of Tastingbook’s wine professionals, mainly wine writers, sommeliers, MW’s and winemakers. Why are the winemakers included in jury members? Who understands wines the best? The people who make them. That is why our juries include the people who make some of the most esteemed wines in the world. Why don’t I have to send wines to the BWW Competition in the first phase? Success in the competition is not based on a single appraisal event, but on the voters’ previous or current experiences of the wine in its natural tasting environment. This makes it easy and affordable to sign up. It also ensures that all wines have equal opportunity to receive votes, and that votes are given for wines already on the market and not for samples producers send specifically for the competition. We only ask samples for the wines that qualifies into finals. For all wines that qualify in the finals, we ask for 4 samples of each wine to be delivered to our final's venue. Why are we also using price categories? We want to serve all wine consumers in the world and give them information on the best wines in each price range. It is relevant to assess wines in their own price categories, just like consumers do when deciding which wine to buy. You can monitor the current standings of the wines during the voting period on Tastingbook.com. The list of the most voted wines are published after the first phase in September 2018 . The awards and winners of the competition are published on press releases in the end of December 2018. If the competition is cancelled due to reasons dependent on the organizer the entrance fee will be refunded in total. If the competition is cancelled due to reasons not dependent on the organizer the organizer is not obligated to refund the entrance fee.